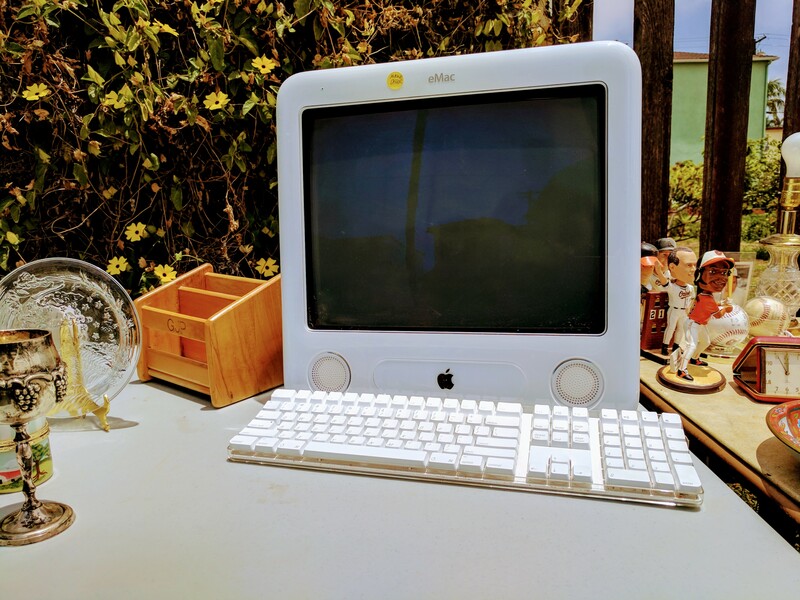 The things that turn up on sidewalk sales: eMac, sighted this afternoon in University Heights while walking down Maryland Ave. to Trader Joe’s. Timing is coincidentally comical, as Apple discontinued the educational iMac wannabe nine years ago this week. Please bow your heads and lift your hands in memoriam for the failed four-year experiment to make all-in-one Macs specifically for K-12 schools. Price was one of the factors that hampered the desktop computer’s adoption. The eMac launched in April 2002 with $999 and $1,099 configurations. Fast-forward a decade, Chromebook commands the U.S. educational market, accounting for 58 percent of K-12 mobile shipment share last year, according to Futuresource Consulting. Low price, Chrome OS manageability/security, and Google cloud products and services are among the reasons. Education Week Research Center asked K-12 teachers what devices do “educators and students use most frequently for instructional purposes” in their classrooms or school districts. Chromebook lead at 42.4 percent, followed by PC laptop (meaning Windows) 14.8 percent. Ah, yeah. Perhaps then it’s fitting that I shot the Featured Image using Google Pixel XL and edited (applied prepackaged filter, really) in Google Photos on the smartphone. Vitals: f/2. ISO 53, 1/4902 sec, 4.67mm; 1:05 p.m. PDT.